In this class the emphasis is on the geographic area George and John know best: the counties of the central-southern Florida east coast, mostly Palm Beach and Martin counties, with occasional forays into additional nearby counties. Thus we gloss over certain habitat regions we would include if we could do it all, such as the Keys, Miami Rocklands, wet prairies, Big Cypress, and the Everglades. For this course, the important habitats are: a) Marsh, b) Pine Flatwoods, c) Florida Scrub, d) Hardwood Hammock, e) Swamp, f) Water, and g) Beaches and Dunes. Many localities are “none of the above,” being intermediate in character between or located physically between our named habitat types, or being altered and disturbed. Habitats can be more diversified than our simple classification, and they intergrade. Although different habitat types tend to have typical species associations, plant species are not all habitat-loyal. Some species are limited to single habitats or nearly so, while many others turn up in multiple different habitats. In short, don’t make yourself crazy trying to classify habitats, it is fuzzy business. A marsh is a wetland dominated by mostly nonwoody plants or small shrubs. A marsh is open and sunny, as opposed to a swamp which is shaded under trees. A marsh has standing water all or much of the year and remains soggy during drier times. Marshes are often interspersed into pine flatwoods, and may have areas of open water. Poorly drained depressions in flatwoods collect water all or some of the year. These depressions may remain open as ponds, or become marshy and dominated by species of St. John's-Worts, of the genus Hypericum. "Hypericum marshes" are abundant in our area. Hypericum marshes have a more or less characteristic flora, which we'll meet in detail later: Hypericums, Buttonbush, Corkwood, Carolina Willow, Tall Pinebarren Milkwort, and assorted Sedges. A wet prairie differs from a marsh by being a little higher with continuously wet soil but not with extended periods of standing water. Wet prairies in North Florida are generally acid, and in South Florida are usually calcareous-marly. Depending on microconditions, wet prairies are often dominated by wiregrasses. If a site is open, wet, and sunny in this class we'll loosely call it a marsh. Perhaps even harder to distinguish from a wet prairie is a wet pine savanna, just take away the pines. Of course the marshy Everglades dominated by sawgrass are South Florida's most famous natural system. The Everglades are not a particular focus of this class, but we will learn the main plants there from meeting them in other wetland contexts. Most of South Florida outside of the Everglades and swamp areas was slash pine flatwoods, the natural habitat of the gated golf course community. Many Floridians live among flatwoods remnants, and many homeowners have survivor Slash Pines in their yards where the trees often decline much to the puzzlement of the homeowner who waters and feeds the yard faithfully and blames the decline on beetles or on the wrong fertilizers, certainly not on the destruction of the tree's natural soil ecology! Why do Slash Pines dominate much of South Florida? Fire has swept pine flatwoods periodically for a few thousand years, lit by lightning and by people. Slash Pines tolerate low fires well, better than hardwood species that might otherwise take over. Fire even stimulates seed germination. Young Slash Pines go through a phase looking like a clump of wiregrass, and these clumps resist fire. Adult Pines are fire-tolerant too. Pine woods usually have soils called Spodosols, which are sandy, are usually acidified by decomposition of the pine needles, and are characterized by a dark band of degraded organic matter below the surface. You can sometimes see this spodic band in excavations. Pine flatwoods soils have varied drainage patterns, which accounts for the range of flatwoods types from wet (hydric) to dry (xeric). The sand is interlaced with hardpans of naturally cemented fossil sea bottom material. Hardpans block drainage and block tree roots so that the trees experience extra drought during dry times and pooled water during rainy times. Species in slash pine flatwoods range in ecological preferences from dry-loving to wet-loving to all-forgiving. Slash Pines are adapted to both extremes. The seesaw wet-dry fluctuations sometimes allow "wet" and "dry" species to co-exist in the same locality, each with their own favorite season. Flatwoods plants include Saw Palmetto, Gallberry (a small holly), Dahoon Holly, Tarflower, and Shiny Blueberry. The herbaceous layer is made up largely of Grasses, Sedges, Milkworts, False Pennyroyal, Ferns, Xyrises, and many additional broadleaf species. We’ll meet all these soon. Slash Pines have strongly developed mycorrhizal relationships. Mycorrhizae are symbiotic root fungi. Digging up a Slash Pine seedling reveals the short stubby Y-shaped roots characteristic of these associations. If mycorrhizae are a topic new to you, you may enjoy a little Google research. Unfortunately flatwoods are easy targets for bioinvasion. A walk through most flatwoods reveals invasion by Java-Plum, Surinam-Cherry, Earleaf Acacia, Downy Rose Myrtle, Strawberry Guava, Brazilian Pepper, Old World Climbing Fern, Sword Fern, Air Potato (yam), varied exotic grasses, and more. An article about a new museum and garden in the Palm Beach Post 's "Good Life" section of June 23, 2002, proudly reaffirms a traditional Florida transformation: "From Pine Scrub to Paradise." What a pity in crowded Palm Beach County to delight still in replacing the oldest and most diverse natural system in the state---Florida scrub---with an artificial garden. The loss of this natural community to roads, railroads, orange groves, suburban sprawl, and seaside condos makes each scrubby patch more precious. In Palm Beach County perhaps only 2% of the original scrub remains, sometimes in parcels too small to sustain natural scrub-dwellers, such as scrub jays. Scrub is a dwarf gnarly community on deep sterile white sugar sand occupying old north-south seashore ridges along the coast and in the center of the state. It is comparatively high and dry, great for roads, railroads, and real estate development. The habitat is sun-baked and dry, somewhat resembling a desert. Extending a bit into neighboring states, the dominant vegetation in "Florida" scrub is sand pine, Florida Rosemary, and a clique of small oaks (mainly Myrtle Oak, Sand Live Oak, and Chapman's Oak) in the company of varied tough-leafed shrubs, scattered hardy wildflowers, sedges, and lichens. The key to savoring scrub is appreciating its antiquity. The oldest direct evidence of Florida scrub goes back some 20 million years into the Miocene Epoch. The scrubby interior ridges probably formed around the Pliocene Epoch approximately 5-2 million years ago. In ancient times, scrub vegetation extended continuously from Florida to the arid West. Today, Florida creatures with western affinities include scrub-jays, harvester ants, and gopher tortoises as well as several plants. Shallow seas covered most of Florida except the scrubby interior ridges during the early Pleistocene Epoch (beginning almost 2 million years ago). The waters receded during the Wisconsin Glacial Period, allowing scrub to spread widely before retreating back to high dry dunes and ridges during the last 7,000 comparatively wet years. Thus, unlike other Florida biological communities, scrub "islands" have evolved relatively undisturbed for a very long time even when other regions were inundated. Ancient archipelagos are living laboratories of divergent evolution, making scrub the most diverse habitat type in the state. Over 100 plant species are characteristic of scrub; about half of them are limited to Florida scrub, and many are threatened or endangered. About 45 arthropods, the Florida mouse, the scrub lizard, the blue-tailed mole skink, and the sand skink belong to the scrub fauna-whose poster child is the Florida scrub jay. A step down the charisma pecking order come the lizards, as represented by the sand skink on the Lake Wales Ridge. Leaving squiggly tracks while swimming through the loose sand, sand skinks look more like eels than lizards. If all truth were known about the underground life of scrub, the story would surely be remarkable given the challenges of life in a sun-baked sandbox. Theft is one way to acquire scarce resources, and the botanical parasites in scrub include Hog Plum, Black Senna, Indian Pipes, and the eye-catching Love Vine festooned like spaghetti over its hosts. A more honorable approach to acquiring water and nutrients is root specialization. The small oaks and some shrubs have brushy root systems branching downward 4-5 feet. Saw Palmetto roots plunge to 15 feet or more. Florida Rosemary, by contrast, radiates superficial roots 20 feet around the shrub, probably out-competing other vegetation for water and possibly even poisoning its competitors. High on the scrub vocabulary list is habitat fragmentation. Scrub islands bear witness to the truth of the equilibrium theory of island biogeography, which predicts that larger islands support more species. Larger reserves also embrace greater habitat diversity; are less vulnerable to edge effects and encroachment; and support the minimum viable populations of more species. The good news is that throughout much of Florida it remains possible to experience the sensory combination of hot blazing sun, sugary white sand, wind, and acid-resinous fragrance of a scrubby ridge; to puzzle over bewildering oak diversity; and to go mano a mano with a Florida scrub-jay. Just direct your gaze away from the condominium towering above the next dune. The photo below is scrub on Hobe Mountain, Jonathan Dickinson State Park. Hammocks are comparatively high dry areas along the coasts or on raised areas inland, sometimes on high spots inland marshes. "Hammock" thus is a broad concept applicable to non-pine wooded areas differing from their lower wetter surroundings. Hammocks are what some pine flatwoods could become if not for fire, although on average hammock soils have better drainage, at least coastal and oak hammocks. Hardwood hammocks are responsible for most of the familiar cultivated native species, including Hercules Club, Mastic, Wild Lime, Marlberry, Wild Coffee, Satinleaf, Cocoplum, and additional species. Pines are absent or minor in hammocks, and fires are comparatively rare. Although there are "cabbage palm hammocks," the hammocks we'll feature in this class are hardwood hammocks, mostly coastal forests with a rich biodiversity of broadleaf trees, shrubs, and vines. Some students may visit inland oak hammocks as well, for example, Delray Oaks in Delray Beach or Prosperity Oaks in Palm Beach Gardens. Students wishing to visit hammocks will have the richest experiences at Rocky Point Hammock (Stuart), MacArthur Beach State Park (Palm Beach Gardens), or Gumbo Limbo Nature Center (Boca Raton). We like to take class field trips to the two hammock areas in MacArthur Park: the trail behind the beach dunes, and the separate Satinleaf Trail. Exploring hammocks is especially fun. They are the only hardwood forests around, shaded, festooned with vines, sometimes jungle-ish. 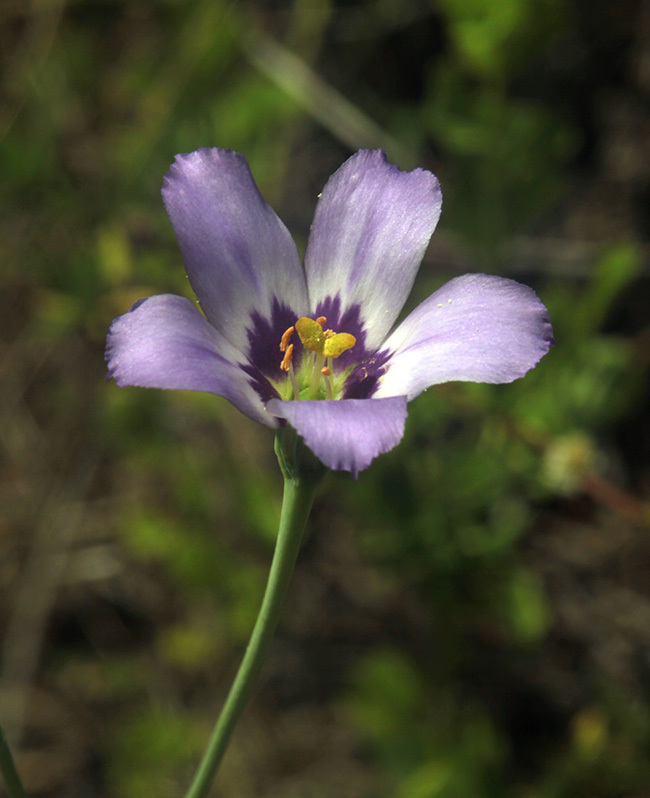 The biodiversity is rich and condensed, and the plants on average tend to be easy to identify. Swamps are forests with wet feet, trees in permanent or seasonal standing water. Around here, the main swamp trees are Bald Cypress with a supporting cast of Dahoon Holly, Red Maple, Pond Apple, Buttonbush, ferns, Willows, Water Hickory, Laurel Oak, Sweetbay Magnolia, Crinum Lily, gators, and lots of epiphytes, mostly of the genus Tillandsia, orchids, and more. The epiphytes seem to enjoy life especially on cypress, which is deciduous, allowing the epiphytes their seasonal moments in the unshaded sun. Long ago, there were swamps along the eastern and southern edge of Lake Okeechobee dominated by large deciduous Pond Apples, big enough to have buttress roots, and with their own epiphyte flora. Swamps of this sort are essentially gone. We’re lumping disparate wetlands with a tree canopy as “swamps.” A stand of Bald Cypress in the middle of a marsh area is not the same as a periodically flooded riverbank, which is where more of the broadleaf species turn up, the Water Hickory, Pop Ash, Laurel Oak, Magnolia, Dahoon Holly, and Red Maple. But they're both swamps to us. River shores sometimes have species representing genera we tend to think of as more northern, such as Pop Ash, Water Hickory, Red Maple, and Partridge-Berry. We have thought already about swamps (trees in water) and marshes (small plants in water). In this class we will look also at aquatic plants in the open water of lakes, ponds, and canals. These overlap plenty with the marsh and swamp species. Some of the prettiest wildflowers float from deep roots, such as Waterlilies, Spadderdocks, and Floating-Hearts, or are emergent from shallows, such as Pickerelweeds, Alligator Flags, Crinums, and Arrowheads. Some are completely free-floating such as Water-Hyacinth, Water-Lettuce, and Salvinia Ferns. Some floaters take root in the mud if the water level drops. Water habitats have special environmental issues, including intensive management and mismanagement, aquatic herbicide applications, extreme exotic invasions, and nutrient- and pesticide-pollution. Windy salty abrasive places for rugged species. Beach plants are beautiful. Most beach species are restricted or nearly restricted to maritime places. Beach species tend to have some things in common: many are widespread geographically, even multicontinental, and sometimes with extensive south-to-north ranges too. They get around, some with floating fruits, or drifting seeds, or carried internally or externally by birds, even seabirds. These species are mighty tough, often leathery or succulent, sometimes waxy or protected by hairs, sometimes vines able to creep across the sand, often with extreme adaptations, such as the two-parted fruits we’ll meet in sea rocket. Several are grasses, some large and showy, others small and creeping, and a couple sedges too. An advantage of learning beach and dune species is that they are not so numerous, and most tend to be well differentiated from the others. 1. Which Florida habitat is the oldest, and has the greatest biodiversity? 2. Which habit is broadleaf forest, and is the source of most cultivated natives? 3. A forest in standing water is ___________________________. 4. Which habitat is on white sugar sand (not counting beach and dunes)? 5. Which habitat has the most Bromeliads (Tillandsias) and other epiphytes? 6. Which habitat depends most on fires? 7. Which habitat tends to have hardpans blocking the drainage? 8. In which habitat do you find several parasitic plant species? 9. Which habitat has species with especially broad geographic distributions? 10. T/F. Every plant species “belongs” exclusively to a particular habitat type. 11. How does a marsh differ from a swamp? 12. How does a marsh differ from a wet prairie? 13. Which habitat has the most rare and endangered species? 14. Which habitat has the most “desert” species? 15. What habitat might be dominated by St. John's-Worts? Time to take Quiz 2.